Τοποθετημένο στην καρδιά της Περιοχή 1, το Zoolut Stay 271 είναι το ιδανικό σημείο από όπου μπορείτε να ανακαλύψετε τη Ho Chi Minh City. Από εδώ, οι επισκέπτες μπορούν να έχουν άμεση πρόσβαση σε όλα όσα η πόλη έχει να προσφέρει. Από τη βολική της τοποθεσία, η ιδιοκτησία προσφέρει εύκολη πρόσβαση σε κορυφαίους προορισμούς της πόλης. Οι εγκαταστάσεις και οι υπηρεσίες που παρέχει το Zoolut Stay 271 διασφαλίζουν την ευχάριστη διαμονή των πελατών. Κορυφαία χαρακτηριστικά του ξενοδοχείου συμπεριλαμβάνουν τα 24ωρη φύλαξη, ημερήσιος καθαρισμός, δωρεάν WiFi σε όλα τα δωμάτια, ενοικίαση φορητού wi-fi, υπηρεσία ταξί. Η ατμόσφαιρα του Zoolut Stay 271 αντανακλάται σε κάθε δωμάτιο. Στην ιδιοκτησία θα βρείτε επίπεδη τηλεόραση, κρεμάστρα ρούχων, λευκά είδη, θυρίδα, καθρέφτης, καθώς και πολλά άλλα. Εξάλλου, το ξενοδοχείο διοργανώνει πολλά ψυχαγωγικά δρώμενα έτσι ώστε να έχετε πολλά πράγματα να κάνετε κατά τη διαμονή σας. Με την ιδανική του τοποθεσία και τις καταπληκτικές του υπηρεσίες, το Zoolut Stay 271 θα σας ευχαριστήσει σε πολλά πράγματα. Had a nice stay! Had ordered tourist SIM and they received it, and handed over to me as I checked in. 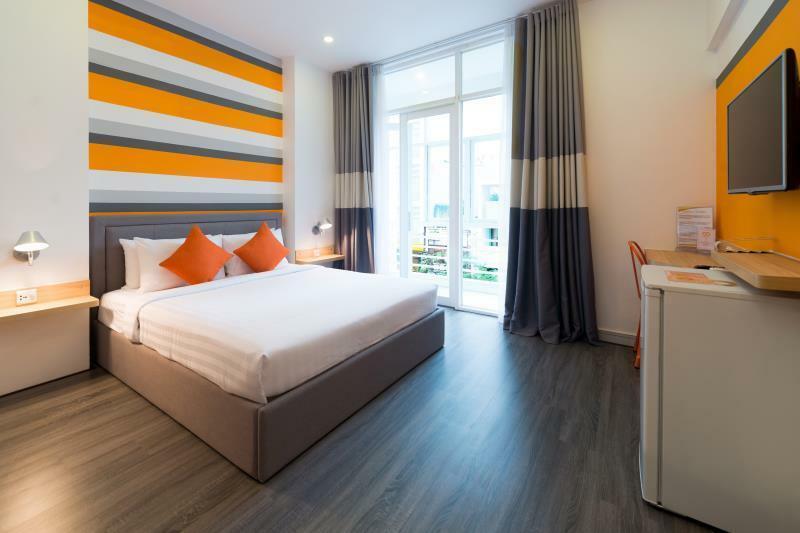 Great location, lots of restaurants nearby and Ben Thanh market. Also close to the water puppet theatre! Breakfast choice was limited but good! Pros : - location is perfect! 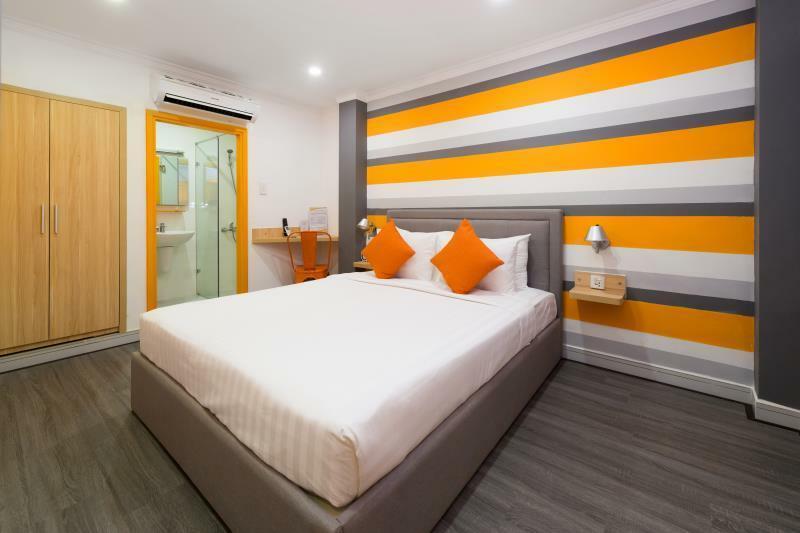 Just walking distance to famous Malaysia Street, Ben Thanh Market and Saigon Square. 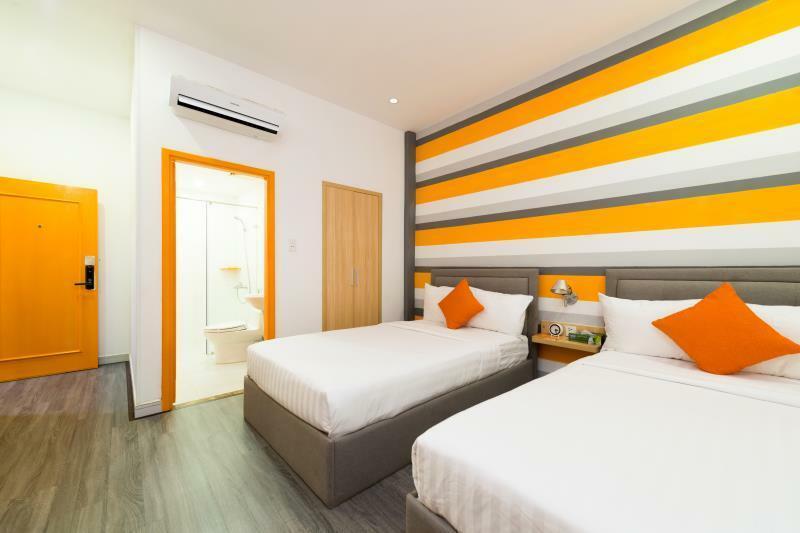 - comfortable bed and clean room - friendly and helpful staffs - just beside 24 hours convenience store 'Circle K' Cons : - they don't serve halal foods for breakfast, but for me its okay since i can have my halal meals at 2mins walking distance Malaysia Street. Zoolut Stay still has a reasonable price for a hotel in District 1. But after a few years running, there’s a lot of things need to be maintained. Blankets are getting old so they’ll need to be replaced. Other things like shower door, especially elevator and kitchen which can be seen easily from the entrance must be cleaned. Hope next time will be better. The hotel is decent. The free breakfast is ok. Not enough food. I stayed in the deluxe downtown room, it's good. Need a paint job but overall not too bad. I'd stay here if it wa under $30/night. But not really worth $35-40 a night. I booked the room without window because I have stayed here before and didn’t want the noise coming through the window. The room was clean. Probably wouldn’t recommend staying here more than a night. Short walk to Ben Thanh Market with a convenience store and HSBC ATM next door. I like the balcony suite room but they only have 1 so have to book early. However I have tried their standard room and city view double room. Both are as good and clean. Breakfast is very limited to 1 cup coffee and menu each only. Extra have to pay. But simple breakfast. Surrounding many eateries. 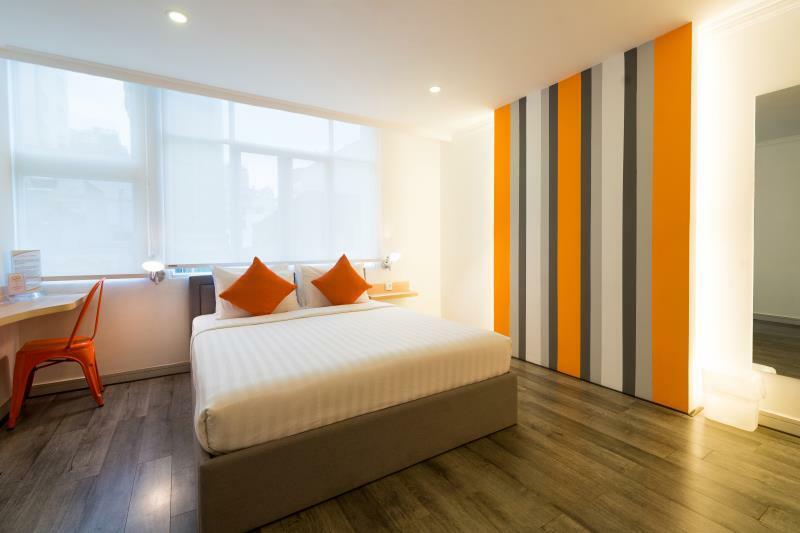 Extend room till 6pm cost 370k vnd if your flight is night time. Acceptable. Good location. Nice people. Not what we imagined or was represented in the photos. Should be a one or two star at the best. My parents gave the review, stating that the place was ideally located, since it was near Ben Thanh Market and the muslim food places. The staff are kind and approachable, so it was very easy for my parents to enquire for any doubts. Ths place is clean and quite spacious, alongwith the bathtub. Would consider this place again. We stayed in a room with a balcony. Not a great balcony but they are hard to find in HCMC so to have any balcony was a plus. Staff were great and helped us immensely (booking tours, getting taxis, etc). Breakfast is a choice off the menu and cooked to order. 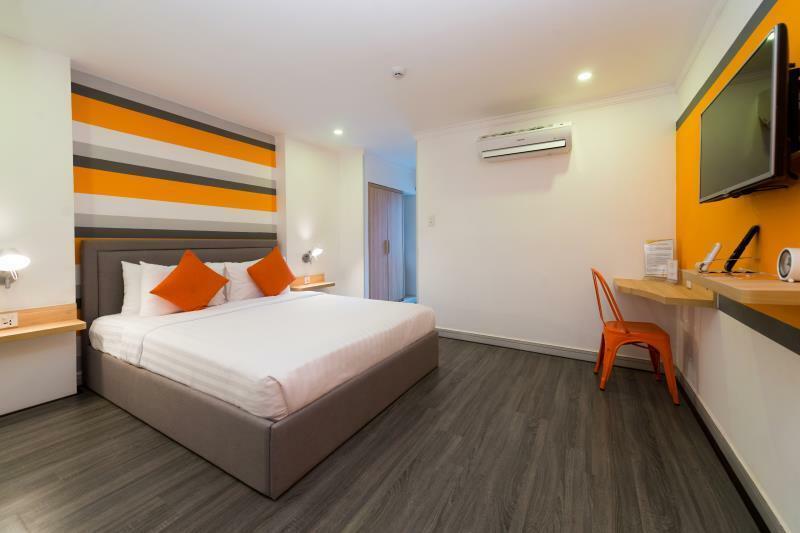 The location is just a few minutes walk to Ben Thanh markets and street food market. Great place all round and would definitely stay here again. Room was spacious and clean. The hotel’s staffs are all friendly and helpful. Breakfast was decent. 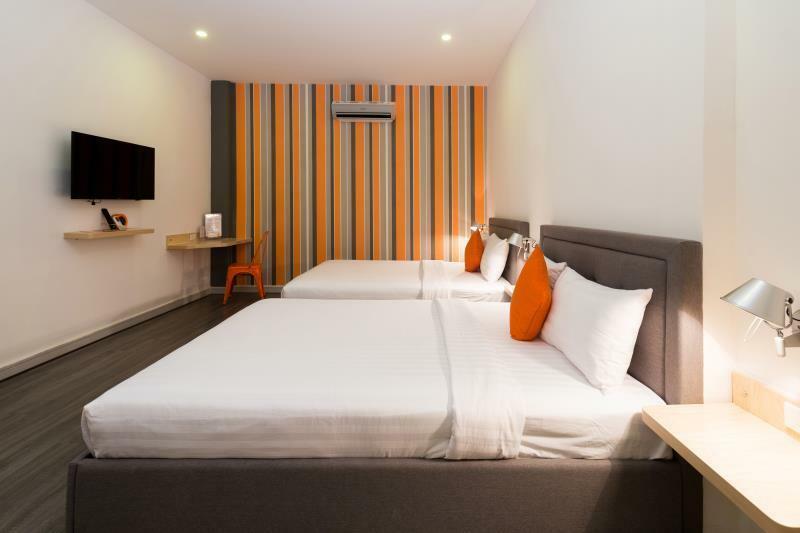 The hotel is strategically located at the town whereby everywhere can be reached just by walking distance. during the last night of my stay at about midnight 12 oclock, the male receptionist suddenly opened my room door. i didnot know what is his intention. during the last night of stay at about mid night the male receptionist suddenly open our door. we did not really know his intention. We are traveled in three pax but we get a family room with 2 big size bed. the room size is very spacious. everything looks clean and tidy. 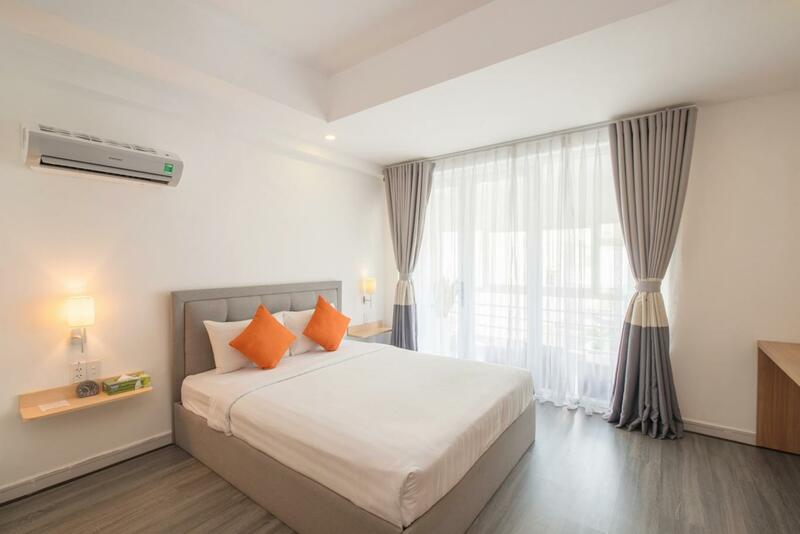 Within 1km radius to ben thanh market, notre dame cathedral and saigon central post office, there's a lot of eatries and massage parlours nearby. they also provide free breakfast and their menu is different everyday! so you will not get boring :) the only downside is this room does not have windows, but overall we are satisfied with the stay. We booked family room just to find out that there are NO Windows in the room!!!! 2 nights with little asthmatic girl and similar room for the grandparents ruined our experience. Agoda and the hotel should point out clearly that all family rooms in this hotel have no windows!!! The room was moistened and dumped. The location of the hotel is the selling point. My friends and i were rather disappointed. We requested for rooms close to one another but were given rooms in 3 different level as we booked 3 rooms. One of the room the lock was defective. There isnt any basic facility like electric kettle in the room. The set breakfast was barely enough for each of us. The plus point is location and the cleaniness of the rooms. The room did not have a kettle to boil hot water (which my friend needs), therefore we would always need to request hot water at their kitchen area, which can be a bit tiresome. I guess the staffs realized this and actually left a spare kettle in our room to use without us having to go over to their kitchen all the time. Thanks a lot!